RIP: Goodlyf management has announced that paying last respects for the deceased musician will be held at Kololo Airstrip and not National Theatre as it had earlier been communicated. File photo. 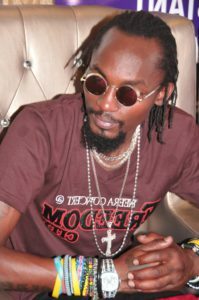 Goodlyf management has announced that the venue for paying last respects to deceased musician Mowzey Radio has been changed from National Theater to Kololo Airstrip today. The management took to their official social media pages of Instagram and Facebook to notify mourners about the sudden changes. “Due to public request and the State request, we have changed the venue from Uganda National Theater to Kololo Airstrip. The time is still 4 PM after Church,” the post read. 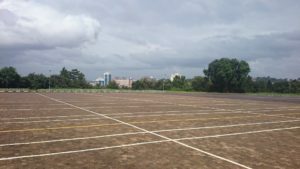 The management argued that Kololo Airstrip is more spacious compared to National Theater and will accommodate the massive crowd following the deceased. The ‘Romantic Call’ singer’s vigil took place last night at their home in Makindye commonly known as NeverLand. The church service is set to take place today at Rubaga Cathedral at 2pm and the body will later be taken to Kololo Airstrip for people to pay their last respects to what many regard as the greatest vocalist Uganda has ever produced. Kololo Airstrip where Radio’s last respects will be held. Photo by Paul Ibanda.